From 1964 onwards, chemical plants were designed, constructed, delivered, and commissioned for various markets at home and abroad. Anlagenbau Chemnitz developed into a specialized company for engineering and construction of chemical plants on an international scale. In 1990, following the social and economic changes after the reunification of Germany, the company was taken over by the Lurgi Group in Frankfurt-am-Main, a traditional engineering company which operated worldwide. Over the following 15 years, many major projects were completed independently and in cooperation with Lurgi. Since 1 April 2004, when the company was re-established within the framework of a management buyout (MBO), it has been operating in the traditional business segments again. The company looks back on a tradition of more than 50 years on the international market. Its more than 250 engineers in Chemnitz – more than 500 worldwide – are continuing the successful history of the enterprise. 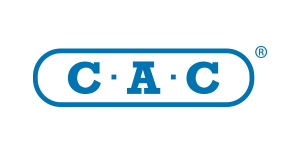 Evaluation of ongoing maintenance costs “The software sets itself apart with low maintenance effort for the administrator. “After comparisons with email archiving solutions by Symantec and H&S, we opted to go with MailStore Server. 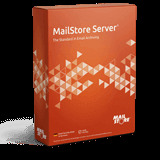 In addition to the simplicity and performance stability, another crucial factor was that MailStore Server offered the best value compared to other products on the market. MailStore Server is a simple but perfectly satisfactory email archiving tool without any frills or gimmicks. It reduces the IT administrator’s workload and includes everything we expect from this type of software. End users can also implement it without any problems. In addition to reducing the load on the email server, we have achieved our most important objective of legally compliant email archiving thanks to MailStore Server. Whenever we needed any technical support in spite of the solution’s stability, we received prompt and expert support. MailStore Server is perfectly suited to the requirements of a company of our size and we would definitely recommend it to others.